Liverpool legend Robbie Fowler is full of admiration for Mohamed Salah’s “brilliant” scoring record. 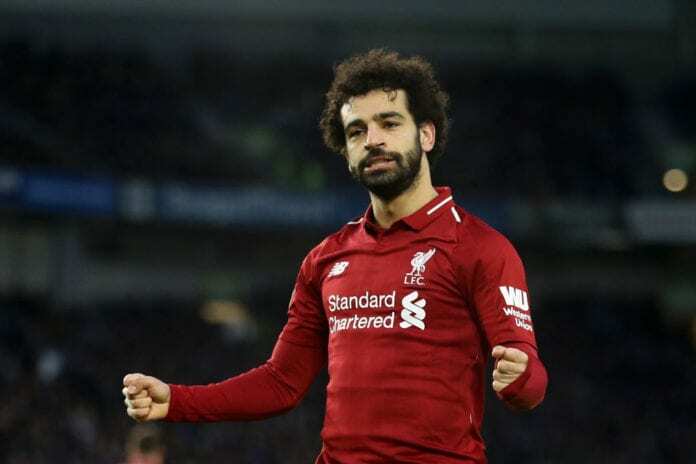 The Egyptian forward has carried over his brilliant form from his stunning debut campaign at Liverpool after scoring 44 goals in all competitions. So far, Salah has registered 19 goals and eight assists in 33 appearances for Liverpool this term to help them climb up to the top of the Premier League and into the knockout stages of the Champions League. And the 26-year-old reached a half-century of Premier League goals in record time on January 19 in Liverpool’s thrilling 4-3 win over Crystal Palace. “His record’s brilliant, it really is,” Fowler told the club website. “When you watch him play you just know that you’re more or less guaranteed to get chances and obviously if he keeps getting chances he’s going to continue to score goals. “The way he’s played up there hasn’t surprised me because I think you just knew that he was a good player regardless of where he played and you knew he was going to get chances. “At times he does look a little bit unorthodox with the way he strikes the ball. I mean, he’s not as fluent as some strikers have been in the past in the way he strikes it, but that doesn’t really matter – he’s effective. “I’m not surprised because you look at some of the goals last year and this year, he scores goals out of nothing. Fowler is not surprised that Liverpool manager Jurgen Klopp has begun to use Salah in a more central role in their attack this season. “He’s not unbelievably greedy or unbelievably selfish so I wouldn’t read much into it in that way, but I think his game has changed and he does look a little bit focused or a little bit more direct in terms of wanting to score goals and to be a great goalscorer. “I think at times you do need to have a little bit of selfishness about you and he has got that. Fowler is a former striker, who scored 183 goals in 369 games across two separate spells for Liverpool. The 43-year-old won the FA Cup, League Cup and UEFA Cup in his time at Anfield and is considered a “god” among the supporters.